Weather Speed Dial – Your Weather forecast in speed dial! 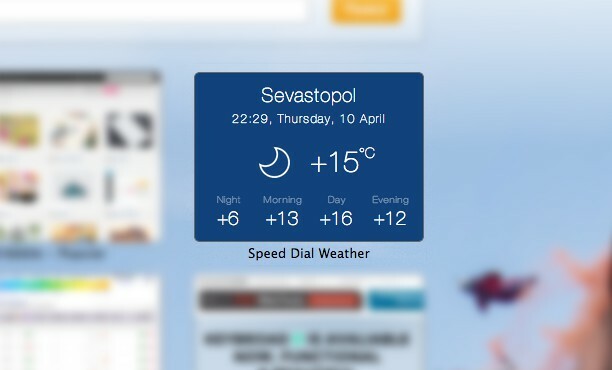 Extension displays the current weather or forecast for the near future as morning, day, evening and night. Esta extensão aparecerá no Speed Dial.